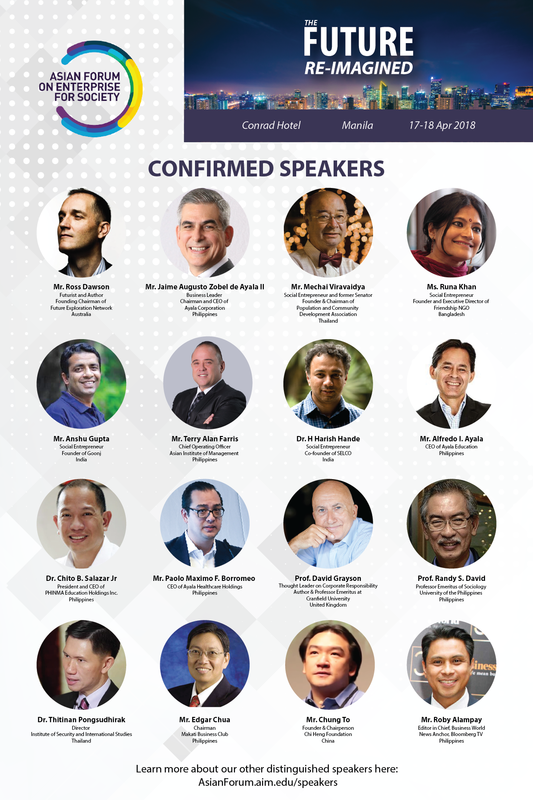 We are pleased to announce our distinguished list of speakers for the 2018 Asian Forum on Enterprise for Society. Our lineup includes business leaders, social entrepreneurs, and thought leaders from around the world. There are many opinions about the role of businesses in society. Some see them as a way for the private sector to fill gaps in public provision, while others consider their business a vehicle for social change. Speaker at Asian Forum, Prof. David Grayson, thought leader on corporate responsibility, author, and professor at Cranfield University, United Kingdom, argues that though businesses exist to make a profit, the profits made should be geared toward a higher purpose. With that in mind, what does it mean to be a responsible employer? Learn more about what Prof. Grayson has to say on this topic here. 1. As society places more importance on mental health and the aging population, caring for caregivers who work for you is part of being a sustainable business. Organizations need to change the way they treat staff who are also caregivers. Watch the video here. 2. Michael E. Porter, an academic known for his theories on economics and Mark Kramer look at the link between competitive advantage and corporate social responsibility. Read about it here. Watch the video here. 3.Learn more about how executives can move beyond corporate social responsibility to “total societal impact” — for the benefit of both a company’s bottom line and society at large. Watch the video here .